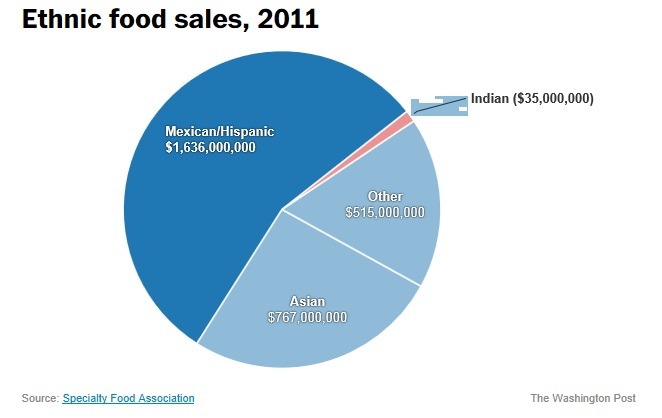 Home / Readers Forum / Why delicious Indian food is surprisingly unpopular in the U.S. According to surveys, many people in the U.S find Indian food to be fairly enjoyable, however surprisingly enough Indian food is quite unpopular in the U.S. Compared to other ethnic foods, Indian food sales were reportedly the lowest by a massive margin. In the Washington post article “Why delicious Indian food is surprisingly unpopular in the U.S”, Roberto Ferdman argues that most of it has to do with a lack of appreciation for the skill and labor intensity required to make this cuisine. Many people unfairly assume that Indian food is inherently cheap, and many restaurants fail because of this.